← Homeowner benefits from letting landscape designer execute his vision. The results house becomes a most desireable home. Preferred Properties masonry staff just completed repairing, resetting and sealing this stone pool Coping, stone Patio and firepit. 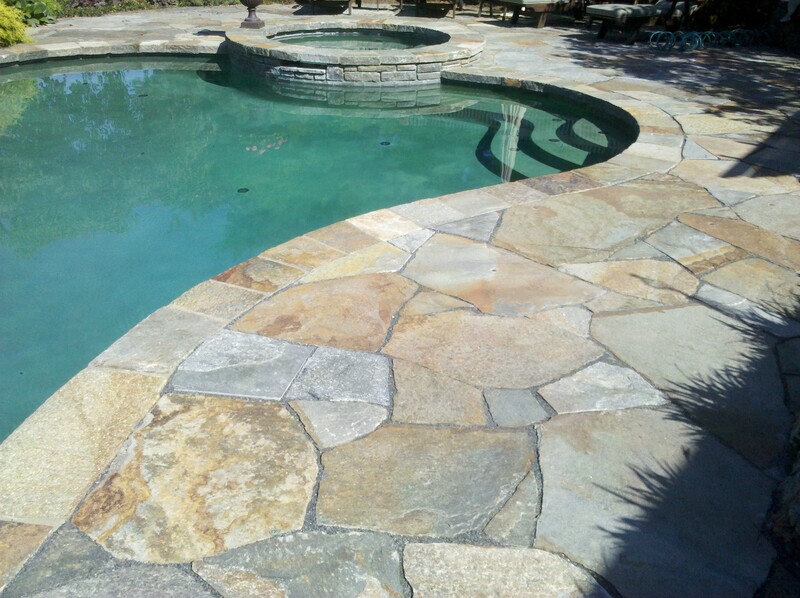 Natural stone requires periodic maintenance including stone sealing, resetting, repointing and sealing. This all required At somepoint for natural stone to maintain its beauty, integrity,and stay in place as originally set. Proper Masonry techniques are imperative for stone to uphold its application from winters wrath. Its the freezing and refreezing, thawing conditions that create havoc on stone, Masonry joints and concrete. 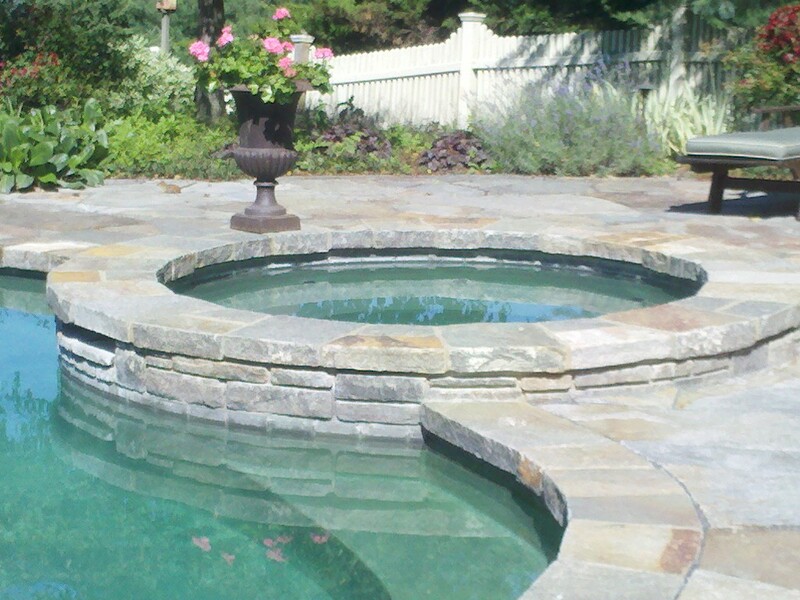 It s always helpful to hire masonry contractors to perform Masonry tasks in the landscape or in hardscapes surrounding pools, patios, Outdoor kitchens and Outdoor Fireplaces. This wise choice can save you thousands of dollars and optimal performance of the stone for everlasting beauty. 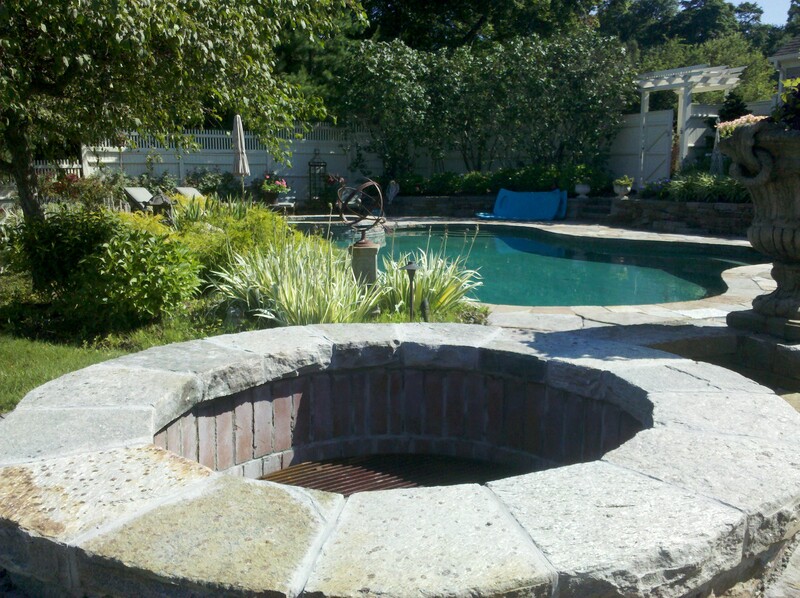 Preferred Properties Landscaping and masonry have been building outdoor kitchens, Outdoor fireplaces and such long before Outdoor living become so popular. Outdoor living designer Michael Gotowala of Preferred Properties landscaping and masonry has onboard a Masonry staff with outstanding old school masonry ethics and exemplary masonry techniques skilled to build outdoor kitchens, outdoor fireplaces, fire pits, pool patios, stone patios and terraces alike. 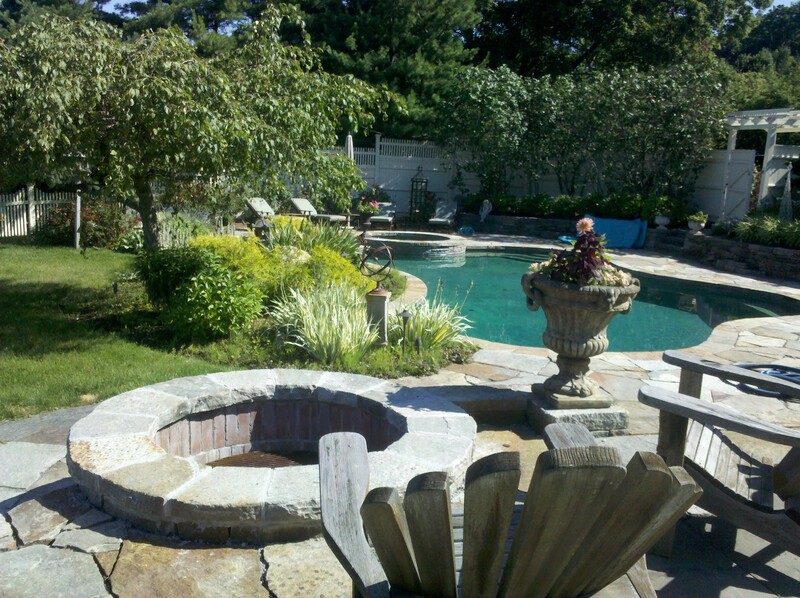 Preferred designers spoiled in the instances That their creativity both in landscape design and masonry can be followed and built in-house by Preferred’s own staff. 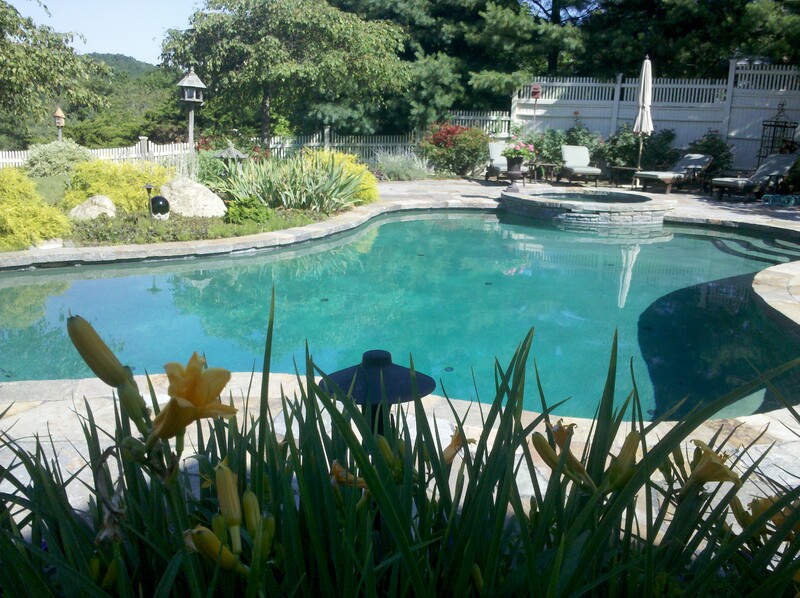 Stone, limestone, granite, firebrick, stone chimneys, outdoor Kitchens, pool coping and patios are all common projects brought to the next level. Seen here is a project PREFERRED Properties staff has brought back to to help redo the entire project as stone patio pieces Were fallen apart, coping broken and firepit broken with cracks. The end result was A++ as Preferred staff excells in masonry stone repair and stone sealing. The project now looks better than new. Outdoorliving in CT. Has become so exciting. Living beyond the walls of Your home has endless possibilities. Let Preferred Properties build you the lifestyle you so deserve. 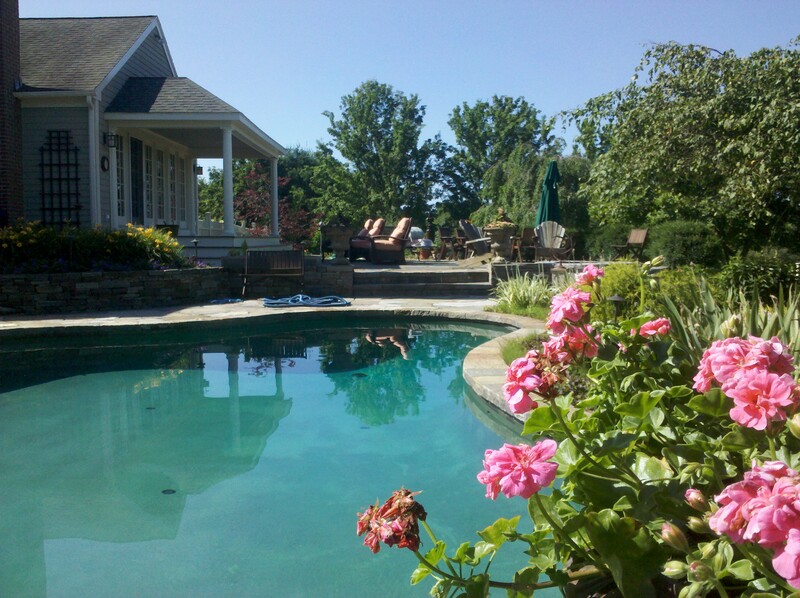 Go to outdoorlivingct.com to learn more about outdoor living design. 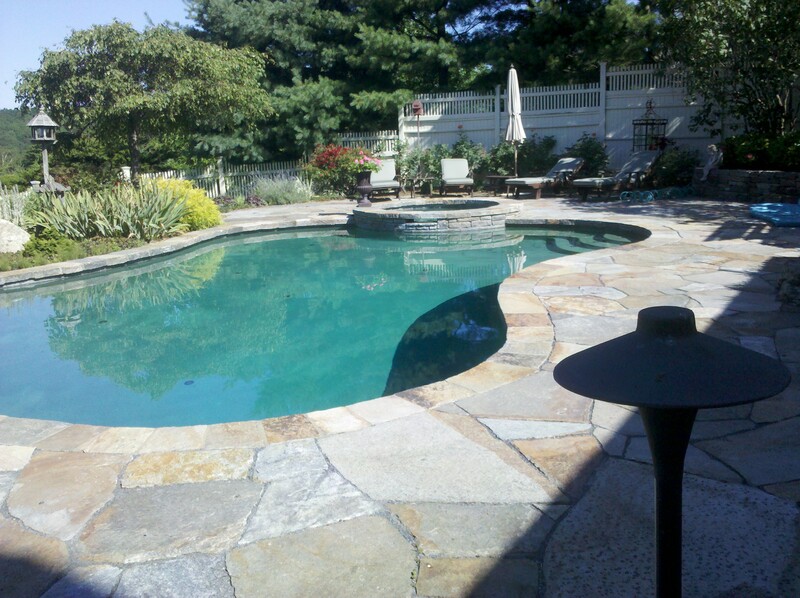 This entry was posted in Gunite Pool, pool patio, stone patio, stone patio repair, stone sealing and tagged finite pool repair, how to stone seal, masonry pool, pool Patio repair, Stone patio, stone repair. Bookmark the permalink. 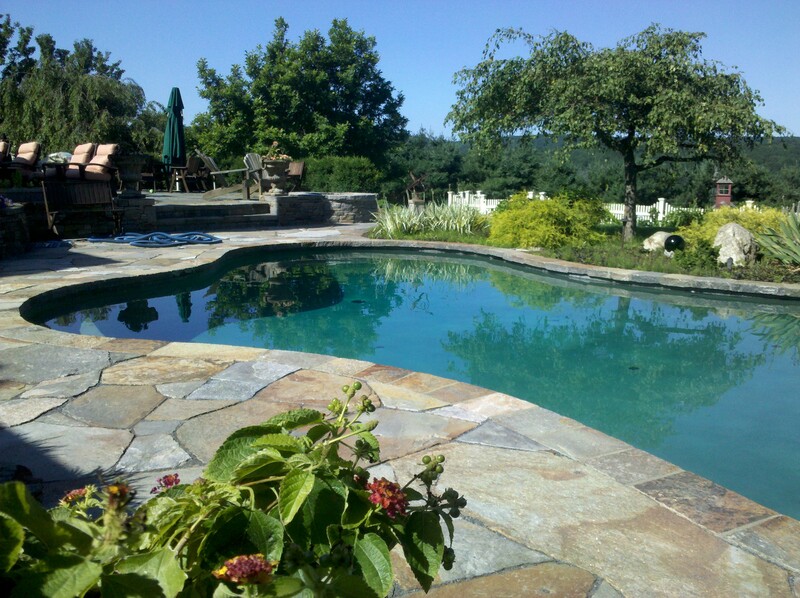 1 Response to Stone masonry repair needed on this pool deck and patio. 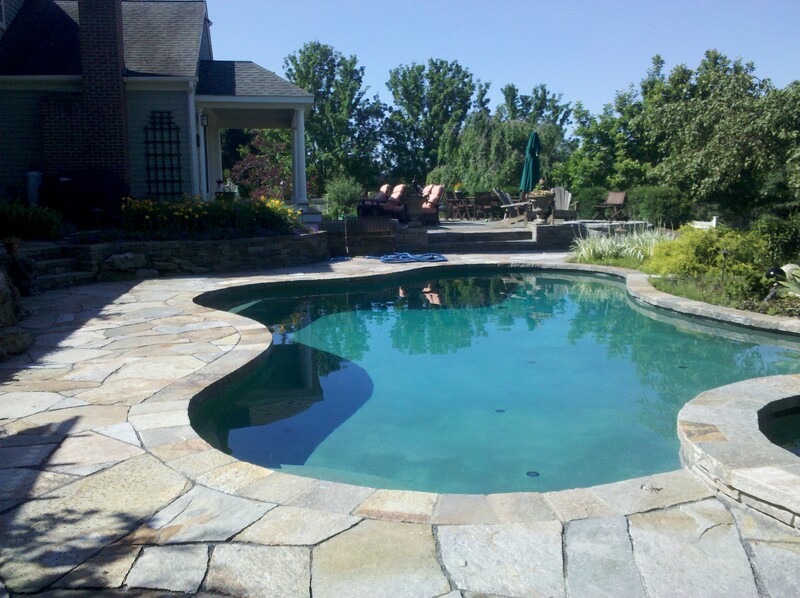 Masonry sealing and stone setting by Preferred Properties landscaping and masonry.